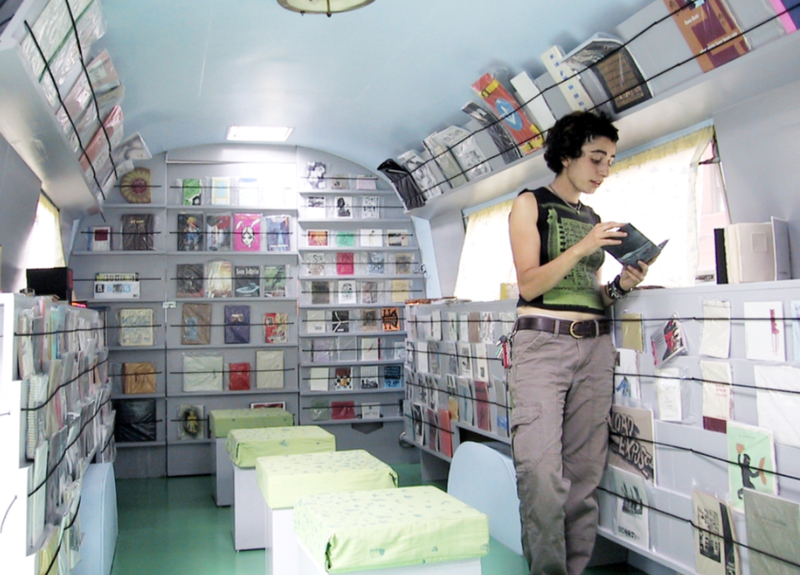 The interior of a vintage Airstream trailer was converted into a traveling gallery exhibiting artists' books, zines, and independent publications. Running the length of the interior are two stepping wood liners which echo the geometry of the trailer. Wrapping only the sides allows the body of space to remain unobstructed. Thin books are displayed strapped against a notched plane with bungee cords. The display liner steps back to align with existing windows to provide a deep shelf space for large books.